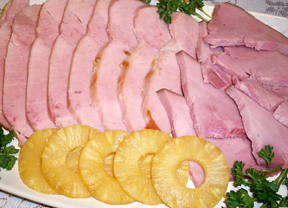 Add a sweet touch to your ham with this pineapple glaze. 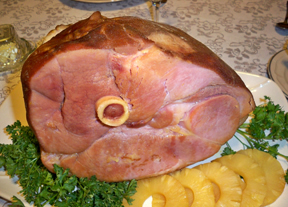 You will have a delicious ham with a slightly sweetened flavor that is perfect for any holiday or special occasion. Mix ingredients; stir constantly over medium heat. Bring to a boil and stir vigorously for 1 minute. 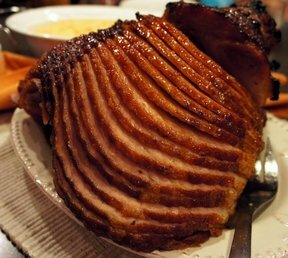 Cover ham with foil and bake for 10 minutes per pound at 275 degrees F.
For the last 30 minutes of cooking time, brush glaze over ham and return to oven for the remaining cooking time. Note: This glaze is great served with the ham also so you may want increase the amount you make so you will have enough to serve along with the ham. 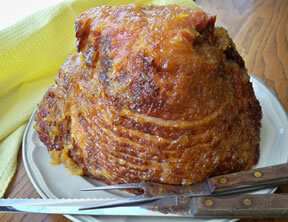 "I made this glazed ham recipe for Easter and we really liked the flavor it gave the ham. I was glad I doubled the glaze recipe and kept half of it to serve with the ham."